A historical site about the great airport terminals of the Southeast. When I was a kid my parents would often take me to the viewing area at Miami International Airport to watch the beautiful planes takeoff and land. We would frequently visit the 20th Street Terminal (still in its resplendent 1950s interior) where I would stop at every ticket counter and pick up airline timetables. It was during these jaunts that I developed an appreciation for airport architecture and history. My passion for this hobby grew and I began to collect material on Florida’s wonderful airports. This site features some of my favorite terminals. 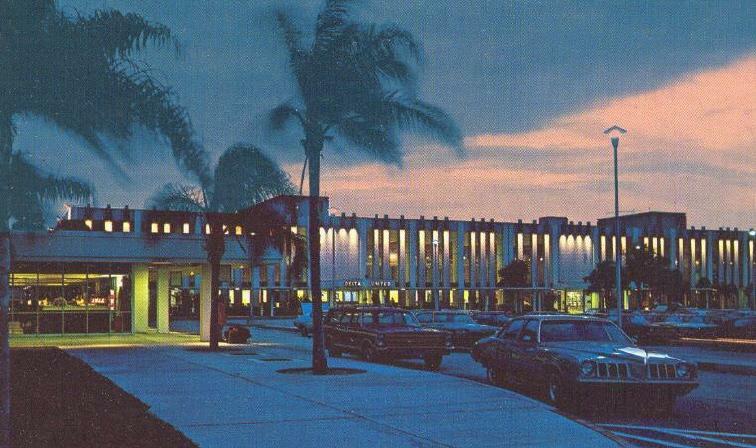 Palm beach International Airport 1966-1988 The story of PBI's beautiful old terminal building. Miami International Airport 1959-1980 The first two decades of MIA's 20th Street Terminal. Hartsfield Atlanta International Airport 1961-1980 The story of ATL's wonderful old terminal building. Orlando International Airport The story of MCO's past and present terminal building. Ft Lauderdale/Hollywood International Airport The history of passenger facilities at FLL. History of Miami International Airport The story of the gateway to Latin America. Juan's Tampa International Airport Page A historical site about America's favorite airport. If you have any facts or images that I can use on this site please feel free to send me an e-mail. I will appreciate your contribution.